Gum disease afflicts many Americans today, despite widespread access to oral care. Many people probably don't even realize they have gum disease. The early stages of gum disease can be difficult to notice, but the biggest signal is gums that easily bleed while brushing. 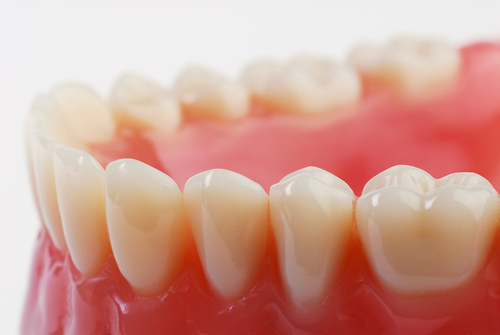 Untreated gum disease can result is far worse effects, including tooth loss and bone damage. Windsor cosmetic dentist Stephen D. Lipman offers the latest procedures to treat gum disease and repair the damage the condition causes. Gum disease, also called periodontal disease, is an infection of the gums that is divided into two stages. The first stage is the early, less severe stage of gum disease termed gingivitis. With gingivitis, the infection is contained to the gum tissue surrounding the teeth. The next stage, periodontitis, is the advanced stage of gum disease. Periodontitis is more severe because the gum infection has spread to the tissue and bone beneath the gum line. This causes the gum and bone to pull away from the teeth, forming pockets. Plaque and debris settle into these pockets, causing further infection and the pockets to deepen. This process damages the bone and gum tissue, pulling them further and further away from the teeth; eventually the teeth loosen and fall out. Antibiotics: Antibiotics may be prescribed to reduce gum infection by killing the bacteria. Root planing and scaling: The teeth are cleaned deeply, down to the roots, with root planing and scaling. Gingivectomy: Diseased gum tissue may need to be removed if root planing and scaling isn't effective. This procedure is called a gingivectomy. Flap procedure: With severe gum disease, a flap procedure may be necessary. A flap procedure is when the gum is cut, creating a flap, to clean the root and repair damaged bone. Once the root is clean and the bone repaired the flap of gum is replaced and stitched back. Don't let your gum disease go untreated. Contact Dr. Lipman today for all of your periodontics needs.